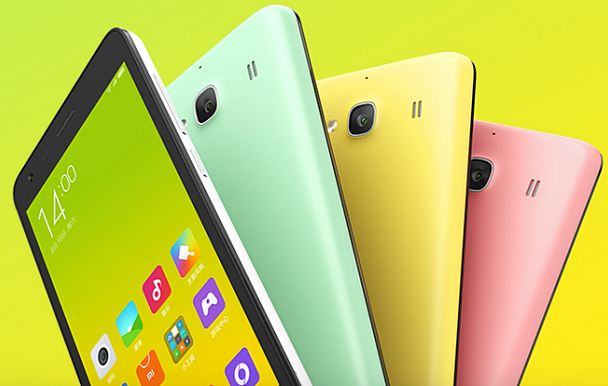 Xiaomi Redmi 2 Price $112, Specs, Key New Features, Officially Announced! The 2015 follow-up to last year's TechPinas Badge of Excellence Awardee Xiaomi Redmi 1s has just been announced by the Chinese electronics giant. Xiaomi Redmi 2, which comes in a variety of youthful pastel colors (just like Meizu M1 Note), brings in a slew of improvements to its predecessor's technical specifications albeit mostly under the hood. To specific, the 2015 upgrade runs on a 64-bit Qualcomm Snapdragon 410 processor which incorporates four ARM Cortex A53 CPUs clocked at 1.2 GHz and an Adreno 306 GPU, supports LTE connectivity on both of its SIM card slots, has a higher resolution 2 MegaPixel front cam, and is powered by a bigger 2,200 mAh Li-Ion battery pack with QuickCharge1.0 feature for - obviously - faster charging time. The phone's simple 'no frills' design language, cute and sleek MIUI Android interface, 4.7-inch HD IPS display, 8 MegaPixel autofocus main camera with LED flash, and Full HD video recorder, however, merely appear borrowed from last year's popular release. But if there's something that the Redmi 1s and 2s share that consumers would be totally happy about, it would have to be their very affordable price tag. Last year, 1s sold for 699 CNY or roughly $112 USD upon launch in China and you'd be glad to know that, this year, Xiaomi Redmi 2 will don more or less the same SRP when it hit store shelves in many key markets - including the Philippines - early this year. Last August 2014, Xiaomi Redmi 1s was launched in the Philippines with official suggested retail price of only Php 5,599. Given the fact that Redmi 2 comes with the same price as the phone it succeeded upon launch in China, there's reason to expect that the 2015 model would have a similar local SRP when it finally reaches our shores.